What a fun read. I was a TWA flight attendant from 1978 to 1985, hired on the eve of deregulation, which really changed the industry and flying. But still, was amazed to read how much was similar to your days—the weigh ins, grooming regs, check rides, training, open overhead racks, pillows/blankets, hot towels and hot food (two choices) even on 30 minute flights. Even in my flying days, we still did First Class cart service, ice sculptures, caviar, 8-course cooked to order meals. 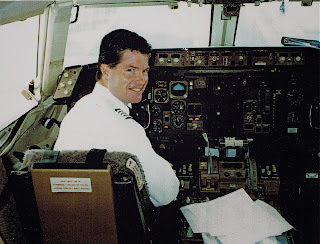 I remember sitting in my jumpseat on take off, memorizing all the passengers’ names. Now, not much fun anymore. 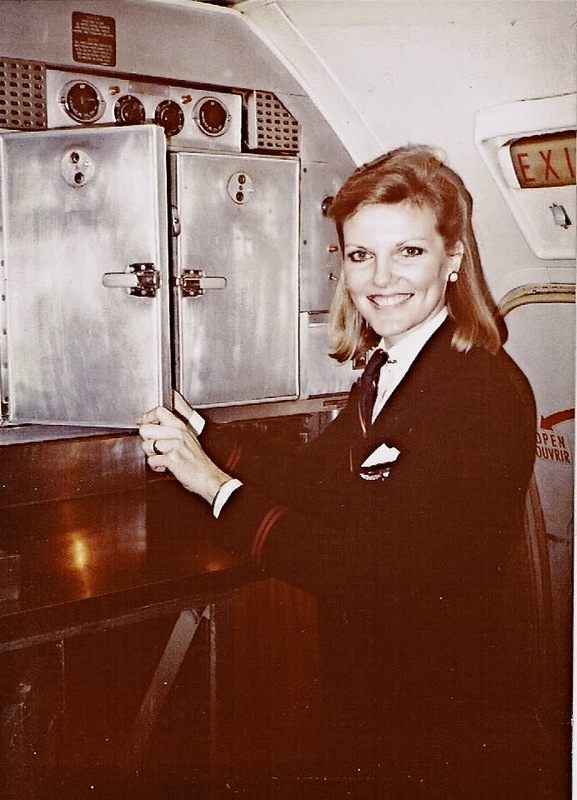 Sadly, flight attendants deal with a very different environment today. Thanks for writing this memoir of the days of white gloves and corsages. I remember flying in the 50s. By the way, you were adorable, and you haven’t changed—just vintage adorable now. What a wonderful way to start my writing day! Your message is heartwarming and so appreciated. I cannot imagine the heartache and sorrow you and your family have endured as a result of 9/11/01. I remember flying into Boston as a passenger in early October of that year and encountering all the safeguards, including armed guards, newly in place. With your permission, I would love to share your message with my blog readers. It would be nice to include a photo of you in uniform from your flying days . 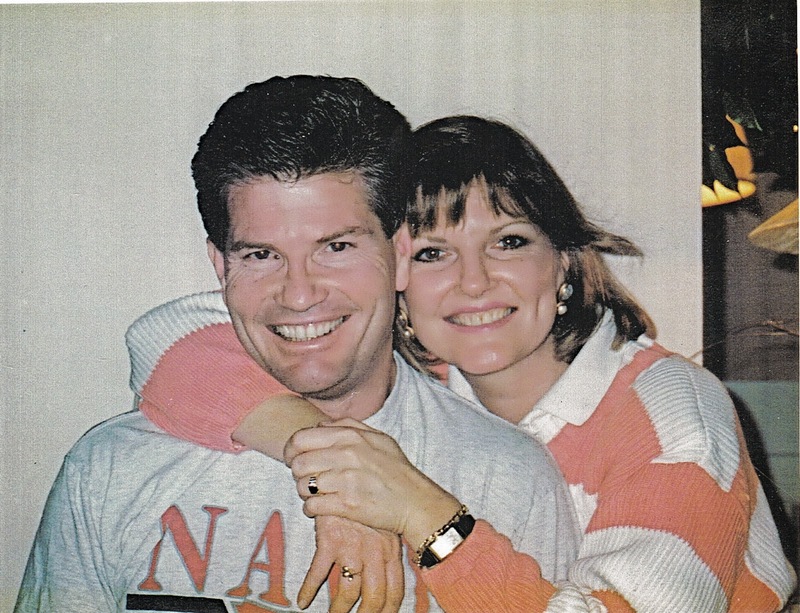 . . And a photo of you with your brother, Capt. Burlingame, would certainly further tell your story. Your Sr. pilot anecdote is priceless.
. . . Thank you again for the huge lift to my day. Now must knuckle down to a story about Northwest's experiences with the ill-fated Martin 202 in the late 40s and early 50s (even before my time). P.S. How did you hear about my book? Then came . . .
Anne, so great to hear back from you. You may certainly post this. I found your book when I was searching Google images, forget what for. There in the mix was your shot of Nancy Rogers in the DC-4. I love these old pictures, so I clicked on the website where it appeared. Voila. Fujiyama Trays and Oshibora Towels. Really enjoyed the read. Innocent days. Yes, I was flying immediately after 9/11. Very difficult for my family…and the crews. The public has no idea how traumatized they were. Many quit flying after that. Whatever joy was left after the Golden Age of commercial travel was gone forever after 9/11. P.S. Note **photos may not be reposted without permission.